Sam is troubled in his sleep. He rolls from one side to the other on the couch in the bus’s back bedroom. The dim light we leave on for him lights up only one side of his face, the way the sun lights up one side of the moon. Always one side. He looks like he might cry. His face crinkles up. Then he’s okay, again, having found some elusive peace. He rolls over. The next morning Cade climbs up in the passenger seat with a silly grin on his face. He talks to me for 60 miles about Lego castles and the true state of ninjas in the world. Then, when he runs out of questions, he realizes he is hungry and retreats to the back of the bus where he promptly body slams his 2-year-old brother. Abra points out every letter “A” on I-80 from Reno to Wells, both inside and outside the bus. That’s 250 miles of A’s. Enough said. Lucy gently ushers the younger two into the short hallway on the bus and organizes a play time. They laugh and shout and call her “Sissy.” She uses a schoolteacher voice to stop their fights. She smiles peacefully and is a good sister to them. 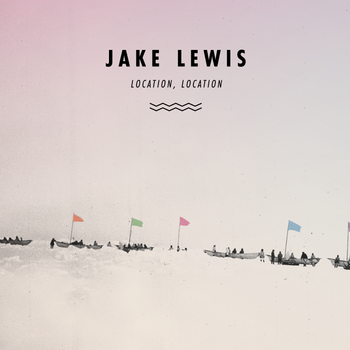 Italicized words are from the song “Roam Far” by Jake Lewis off of his album Location, Location. Simply amazing album, folks. Check it out HERE. That’s a good tune, but I couldn’t help but wonder how good it would sound with some harmonica and tambourine. Have I mentioned my dream job is to be a record producer? Haha. now for 250 miles of B’s. What a lovely vignette of life as a kid on the bus. What a thing to know the true hearts of your children. Or as much as a parent can.